Too little, too late: Why experts not happy with RBI's rate cut gift to PM? India’s government is increasingly looking to the central bank to help boost a flagging economy before an election that kicks off next week. 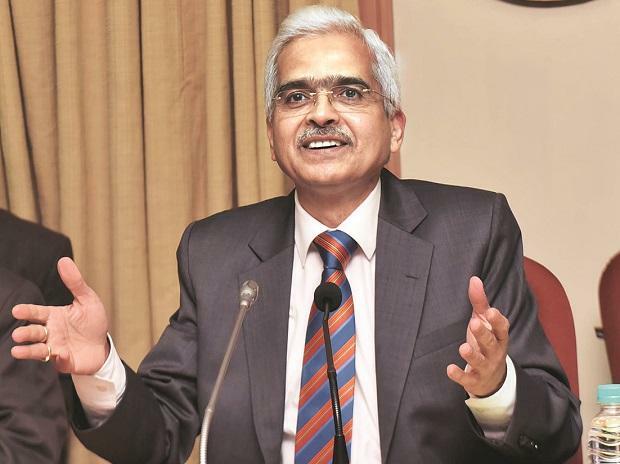 And new Governor Shaktikanta Das is turning out to be a willing partner. He is set to deliver a second consecutive 25 basis-point interest rate cut this week, according to most economists in a Bloomberg survey, reversing two hikes made by his predecessor Urjit Patel last year. Since taking over at the Reserve Bank of India in December, Das has relaxed restrictions on weak state-run banks to help spur borrowing, and allowed lenders to restructure loans to small and medium-sized businesses that are in default. An RBI panel is also considering a government request to transfer more of the central bank’s excess capital to the state. An increase would help plug a widening budget deficit, allowing Prime Minister Narendra Modi to fund billions of rupees in spending to rural workers, a key voting bloc. Lower food prices have put a lid on inflation -- and even though price gains accelerated to 2.6 percent in February from 2 percent in January, they remain well below the RBI’s medium-term target of 4 percent. The RBI expects inflation to stay below that threshold until the end of the year. While the core inflation measure, which strips out volatile food and fuel prices, has been sticky above 5 percent, that may also start to inch lower as the economy slows, providing the RBI with more justification to cut interest rates. Benign inflation has brought into sharp focus India’s high real rates of interest, which economists say can hold back investment growth in the economy. Private consumption has already taken a beating on the back of a crisis in the shadow banking sector, and recent high-frequency data point to a bumpy ride for the economy ahead. The economy needs to have grown just above 6 percent in the January-March quarter to meet the government’s estimate of 7 percent expansion for the 2019 fiscal year that ended on March 31. That’s well below the 8.2 percent growth seen in the April-June quarter. The slowdown is a setback for Modi, who was swept into office in 2014 on the back of pledges to reform the economy and create 10 million jobs each year, a promise that saw him win over India’s youth. Governor Das is doing his part to stimulate activity, but there are risks to some of those plans, particularly his willingness to allow weak state-run banks to lend again, which contrasts with his predecessor’s efforts to slowly nurse struggling lenders back to health. Das’s decision risks renewing a build-up of bad loans. “The rapid exemption of state-run banks from the prompt corrective action suggests that Das risks swinging the pendulum too far to the other side," said Priyanka Kishore, head of India and Southeast Asia research at Oxford Economics Ltd. in Singapore.